Well, the answer is quite simple: Yes, we are! In fact, we have been part of the EU for the last 12 years. We have joined the Union in 2007 and we have been members since then. There is a great chance you haven’t heard of that important fact simply because we are not some of the most popular or larger states that are part of the Union. Unlike Greece, we prefer to keep a low-profile and cooperate with the rest of the EU, so there are fairly small chances that you’ve heard about us being an EU country in the news. But here we are a country that is part of the European Union. Now that we have cleared this really important thing about Bulgaria, let’s make some general conclusions that we can draw from the fact. 1. If you are a citizen of any country that is a part of the European Union, then you can travel to Bulgaria using only you’re ID. No passport or visa needed. The first and main advantage that comes from being a part of the EU is the ability of the citizens of any country of the Union to travel freely to and enter any other country of the Union using only their ID card. Bulgaria makes no exception on that matter. And this is actually a major advantage to anyone who comes from an EU country. Coming to a holiday in Bulgaria will be as easy as traveling in your own home country. Traveling has never been any easier and it would be a real shame to miss the opportunity to come and enjoy the numerous opportunities that Bulgaria has in stock for you. Another asset of Bulgaria, that really does not come from being an EU country, but we believe is really important is the extremely convenient location of the country that makes it even better for a holiday destination. It is just a few hours away by plane from all of the European countries which makes it the most versatile holiday destination in the region. Just to highlight the versatility we would like to mention that the country offers many different holiday experiences from seaside summer vacations in private villas for rent to mountain resorts and skiing holidays. Thought-out the entire year Bulgaria is just the right vacation spot. One thing you should really keep in mind before coming on a holiday, or even in general, in Bulgaria is that we do not use the Euro as our currency. We are a part of the Union but we have not implied the Euro yet. So do not forget to make a good research on exchange rates of the Bulgarian Lev to the Euro, just so you get a better idea where the currency stands on the international currency market. We have an article about Money(currency) in Bulgaria. You may as well exchange money back home in your home country, but in case you need to go through the whole process here in Bulgaria, always remember to check the exchange rates at which you are buying the Bulgarian currency (Bulgarian Lev – BGN)! Normally 1 Bulgarian Lev should be equal to approximately 0.50 Euro. So 2 Bulgarian Levs is equal to 1 Euro. There are some tips to exchanging currency in Bulgaria. Try to avoid exchanging currency at train stations, airports or bus stations since there the exchange fees are often way too high. Usually, those locations are the most convenient to exchange cash but really you may not get a good deal for your money. What you are advised to do is make yourself familiar with the official exchange rate for the currency and try to find an exchange office or the best is from any Bank you see that offers something close to the actual rate. The other option that is highly recommended is coming to the country well prepared with exchanged cash. In your home country, there are greater chances to come across a reasonable deal and you will actually have a whole lot more time to find the right place for you since in Bulgaria you will need some currency straight away. 3. Bulgaria implements European Law. Getting yourself in a situation where you might need legal help is not something that people normally consider when they book their vacation and usually, they do not need to because holidays tend to go according to plan. But if you are one of the very few unlucky people that find themselves in a tangled legal situation while abroad, you really might find some reassurance in the fact that Bulgaria implements the EU law in most cases. So no matter what happens you will get fair treatment that will be just as good as the one you are bound to receive in your own country. Ever since Bulgaria joined the EU back in 2007, the standard of services has really skyrocketed. 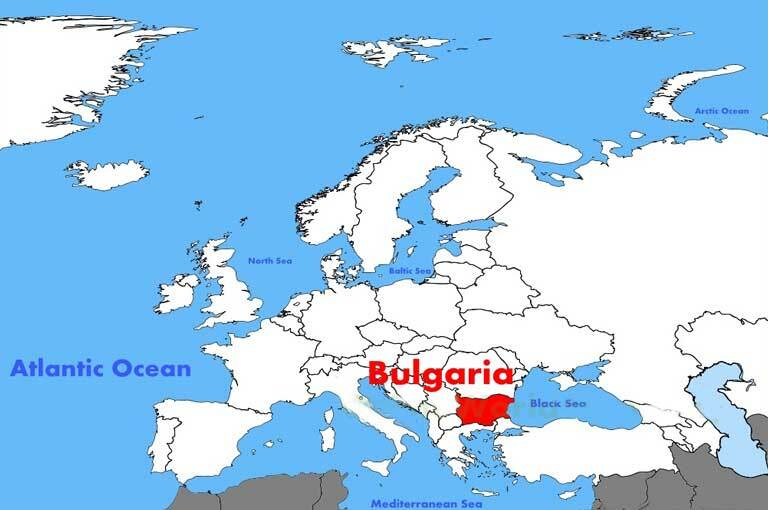 Bulgarian resorts have developed so much that they can really match all of the European famous resorts. The increase in quality is visible everywhere. In restaurants, the quality of service has really developed thus reaching outstanding levels. In accommodation, the rise in the standard is also extremely obvious. Nowadays there are really luxurious hotels, apartments and holiday villas for rent with a private swimming pool. Every possible accommodation is trying to keep up to par with the expected quality that can be found all across Europe. The positive influence is still developing further and further in the different aspects but the real desire to provide customers with the best possible service is really easy to notice. And is a major driving force for everyone in the tourist business. 5. Market expansion and the entrance of world-renowned brands in the country. Another great outcome of being a part of the European Union is market expansion. In the years that have passed, the Bulgarian market was introduced to some of the world renown brands, that simply had no made their way to the country before our membership in the EU. This may not seem like a really great deal at first. But tourists really seem to stick to their usual brands of choice when it comes to food, clothing and even drinks. Luckily the broader Bulgarian market can supply you with all of your favorite items. Most of the fast food chains and coffee shops (KFC, Starbucks) and the really famous clothing brands have all got their stores in the county, and even though we advise you to give local food and drink a try, the world-renowned brands are here to satisfy all of your shopping needs. Bulgaria has been a part of the EU for over 12 years now and that membership has really made holidays in the country a lot more pleasant experience for the tourists from European Union.